The standard dynamo on the MGA isn't great. Perhaps mine was in poor condition, but driving 200 miles at night in the rain would be enough to drain the battery. Here are some photos and wiring diagrams to show how I converted my car from positive earth with dynamo to negative earth with alternator. The charging is great now. I've not charged the battery since fitting the alternator, and it has a 6 month break over winter every year so it doing well. Most elderly Lucas wiring should have similar wiring colours so this will probably work for most '50os and '60s British cars. It's just a big bakelite connector block now. 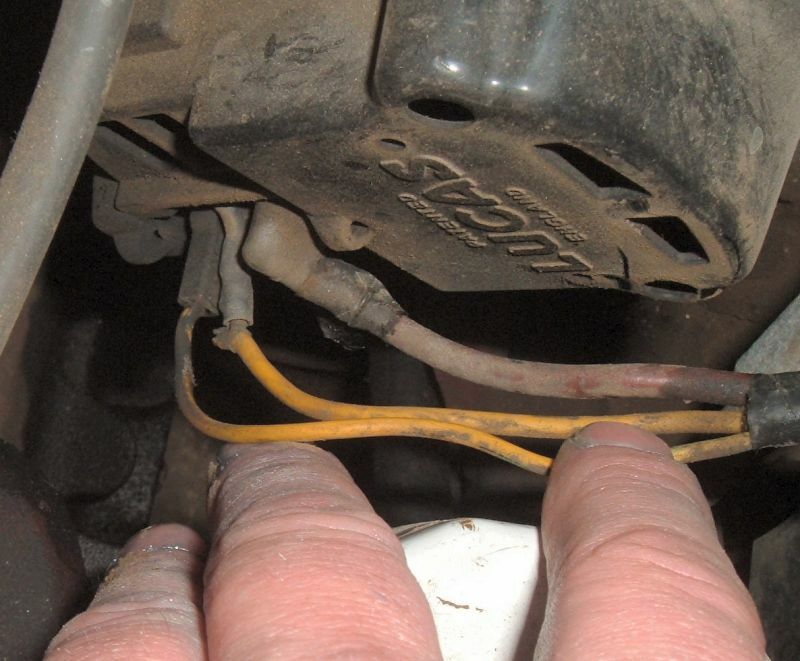 Here's the alternator wiring. I'm reasonably sure that the two yellow wires are connected together inside the alternator. The wiring in detail. As with any of the pictures on this site - double click it to see a bigger version. 1 is the alternator and 2 is the modified control box. For fun here's the full wiring diagram for anyone interested in the other mods I've made to the car (ballasted ignition, two speed wiper motor, an additional fuse box and an 8 track radio!). I've made a word document with the key to the wiring diagram. Most things on an MGA will work fine with positive or negative earth. The main exception is the radio - switching the polarity would blow it's diodes. 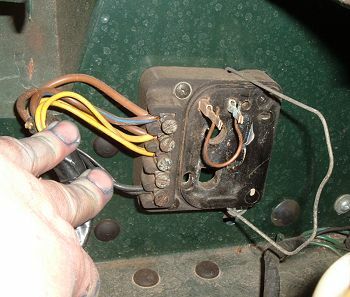 Vintage radio specialists should be able to do a conversion.